Safety: B30A/B/S: Class I, Division 1, Groups C, D; Class II, Division 1, Groups E, F, G; Class III for US and Canada. Complies with UL 913 and CSA C22.2 No. 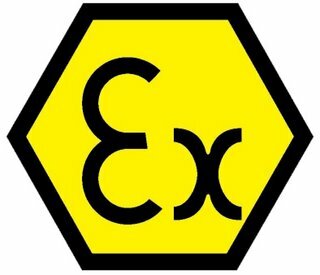 153 ATEX II 2 GD Ex ib IIB T4. Complies with safety standards: EN 60079-0, EN 60079-11, EN 61241-0, and EN61241-11. B30X/Z: Class I, Division 1, Groups B, C, D; Class II, Division 1, Groups E, F, G; Class III for US and Canada. Complies with UL 1203 and CSA 22.2 No. 30 ATEX II 2 G Ex d IIC T4 Gb and ATEX II 2 D Ex tb IIC T120 °C Db. Complies with safety standards: EN 60079-0, EN 60079-1, and EN 60079-36 (approvals pending). 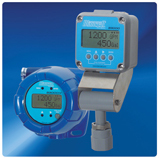 CE: Emissions/Susceptibility: Complies with EN 61000-6-4 for a Class B product and EN 61000-6-2 for an ISM product.